Discussion in 'Photo Gallery' started by Lagunatic, Jan 19, 2014. Salt Creek Beach Park, Dana Point, California. Photos shot 1/19/2014. Custom built Automatic PVD, UDT homage, lefty modded, Sandwich dial, relumed hands, Canteen screw-down crown. Cool watch! 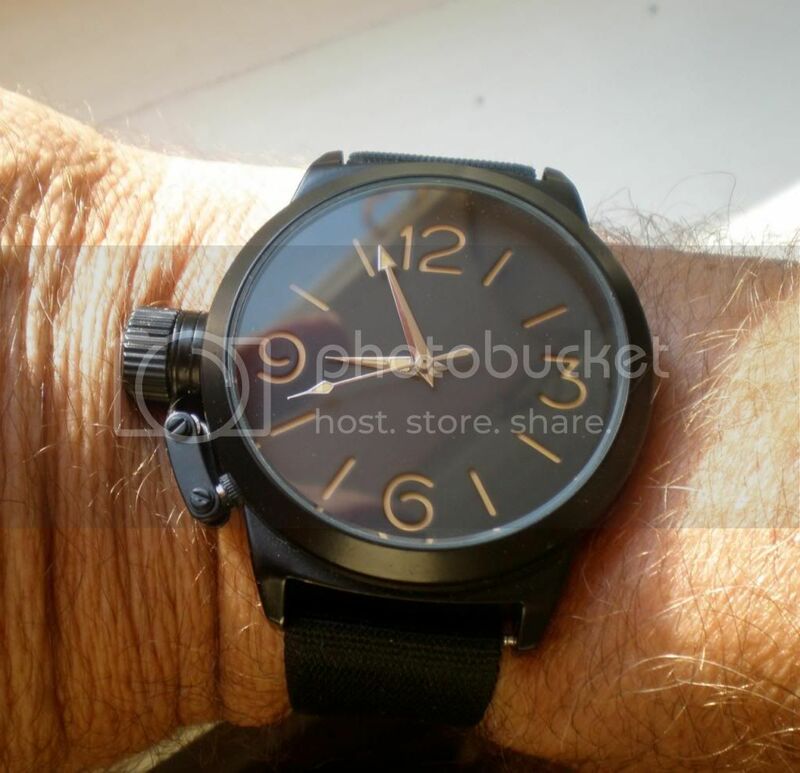 A mix between a Panerai and a U-Boat.